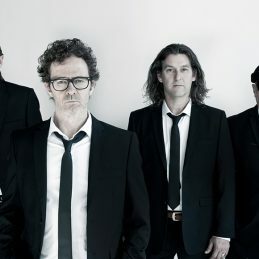 30 years ago, at Mark Gable’s home in Church Point on the Northern Beaches of Sydney, the CHOIRBOYS were formed. Armed with a humble 4-track studio setup in the bedsit, the band would gather to create music. These demos would lead CHOIRBOYS to their first recording deal with Alberts. The CHOIRBOYS journey had begun. No one expected it would lead them into the hearts of the Australian public and the history pages of Australian Music. The iconic CHOIRBOYS are now an essential part of our Australian culture having penned one of Australia’s unofficial anthems ‘Run To Paradise’. With other great Aussie rock hits such as ‘Boys Will Be Boys’, ‘Struggle Town’ and ‘Never Gonna Die’, CHOIRBOYS epitomise the essence of the Australian pub-culture are viewed by many as the quintessential Australian rock band. It is a fact that CHOIRBOYS have been entertaining the young and old for 30 years. They have multi-platinum albums and have survived when so many others have fallen.